Our charity of the month, Harboring Hearts, is hosting their 2nd Annual Summer Soiree at The Rubin Museum of Art on Monday, June 23rd at 6:30pm. Honorees include Evercore Founder and Executive Chairman Roger Altman, Columbia University Medical Center Dean of the Faculties of Health Sciences and Medicine Dr. Lee Goldman, Heart Transplant Recipient and Advocate Michael Kutcher and Director of the Outpatient Pediatric Dysrhythmia Center at The Children’s Hospital at Montefiore Dr. Christine Walsh. Summer cocktails anyone? 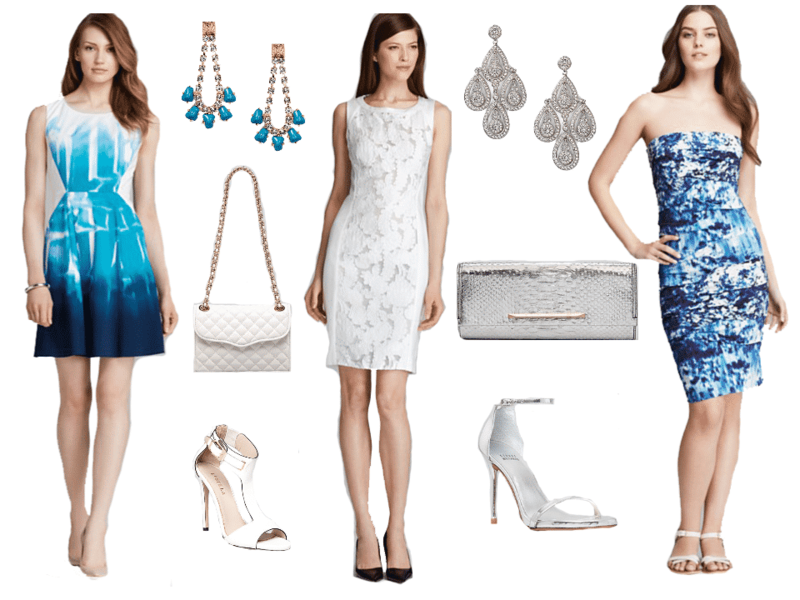 Inspired by Harboring Hearts blue, we shopped Bloomingdales to find a trio of treasured looks. We love all three of these dresses for getting out and about this season. Elie Tahari would be perfect for a transitional dress from work to cocktails. Boss Hugo Boss has created a timeless lace sheath, and the Nicole Miller Strapless is a stunner. For accessories, we chose white and ice to take the heat off the night. For chillier temps add wrap or shrug.